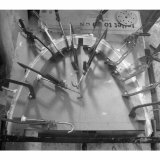 In 2012 I was awarded a Design Guild Mark for my Devon chair, which is in production at Sitting Firm Chairmakers. 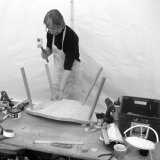 Each year the The Worshipful Company of Furniture Makers (the furniture industry's Livery Company) makes a small number of these awards 'to reward excellence in the design of furniture in volume production. One of my pieces was this chair. 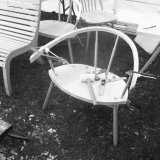 My idea was to make a wide, low, comfortable chair, suitable for relaxing rather than dining, but generally of the Windsor type - that is - a chair whose legs and back spindles fit securely into a solid seat. 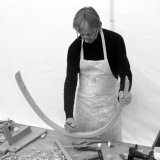 As we didn't have a steam bender on site the back bow was laminated from thin strips, and to save time on shaping the seat it was made, cut into three, angled, and glued back together again to create a slightly hollowed form. 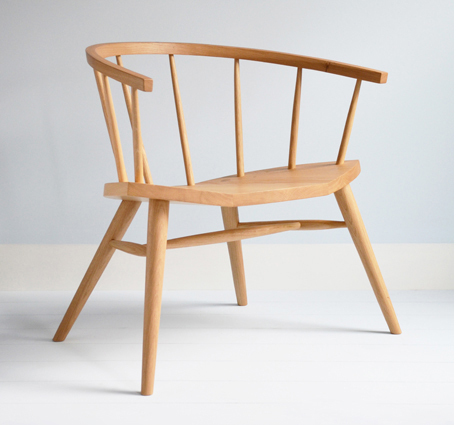 Later on Dave Green from Sitting Firm Chairmakers saw this chair, liked it, and offered to put it into production. 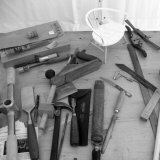 The bow and spindles are in English Ash and the seats are in Scottish Elm. 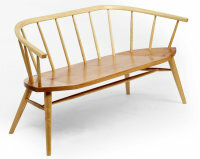 This chair proved to be very popular and subsequently I designed a two/three-seater version - the Devon Bench (shown left) which was launched at London Design Festival 2012. We are now also offering both pieces fully in ash, or in oak, or in an ebonised finish. 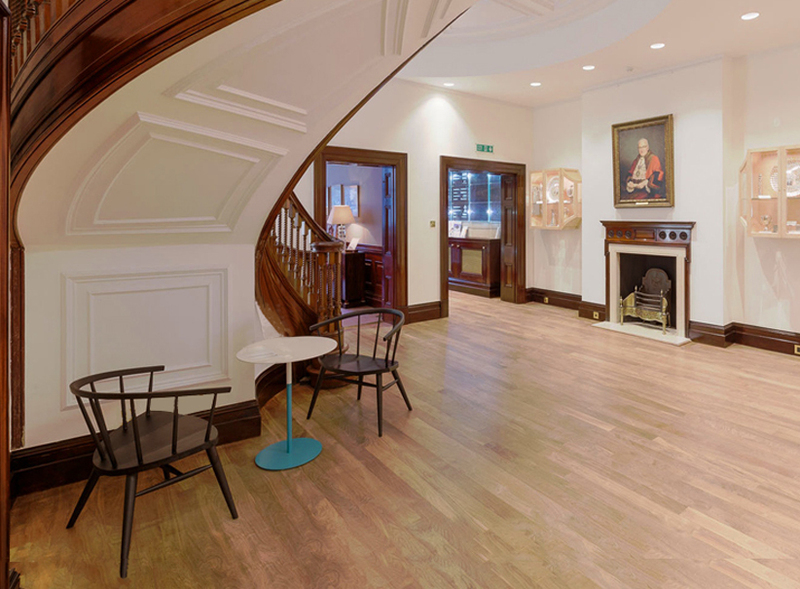 Then in 2015, to complete the refurbishment of their Livery Hall the Worshipful Company of Furniture Makers included a pair of ebonised Devon chairs in their reception area : Bodging goes Establishment! The occasional table is by Mark Gabbertas.